High School recruits compete at the 2014 Friday Night Lights put on by Will Muschamp and the Florida Gators. 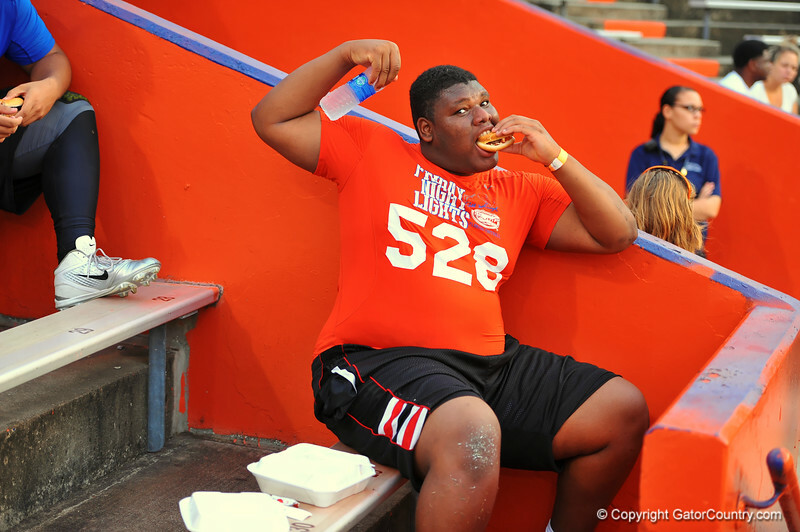 High School football recruits from across the USA compete in drills at the 2014 Friday Night Lights, put on by Will Muschamp and the Florida Gators.2014 Friday Night Lights. July 25th, 2014. Gator Country photo by David Bowie.